Commercial parking lot objectives are to provide a layout that will maximize the number of parking spaces and provide safe continuous movement of traffic through the lot. In addition, smooth hindrance free parking lot pavement will encourage safe passage of pedestrian traffic to and from the building. Warning! Insufficient lighting will attract criminal activity and could also cause slips and falls because pavement changes were masked by the darkness. Confusing signs can contribute to parking lot collisions. An experienced commercial Paver can help you steer clear of any faults that could result in Personal Injury claims. Parking lots design should take into account the needs of its users, as they visit either business office complex, medical complex, residential care facility, shopping center or schools. Each type of lot should have user specific designs, such as a medical complex will require more handicap spaces, schools will require speed bumps, and Banks will require a drive through lane. There are several design methods to keep pedestrians safe, such as speed bumps to slow traffic down, stop signs, curbing enclosing security lights, cameras and yellow striping showing walkways. Newly designed parking lots should try not to use nose in parking (parking spots that face perpendicular to the building). Because quite often we witness, on the evening news, some driver that confuse the gas peddle for the brake, and crashed into the commercial building- breaking glass doors and running down pedestrians. Sometimes the importance of traffic load in parking lot design is under designed in comparison to the building design (which is arguably more glamorous). If the asphalt pavement is too thin to carry the loads, it’s being subjected to, the pavement will quickly develop stress cracks- eventually becoming a pot hole. The parking lot designers need to keep in mind that most parking lots are subject to some heavy truck traffic, such as garbage trucks and delivery trucks and it would be wise to build a truck lane to handle heavy traffic. Signage can be placed to direct truck traffic to the reinforced pavement lanes. All Paving clients should seek at least three paving companies that will provide on-site consultations- finalizing with written detailed quotes. Comparisons of detailed quotes are very helpful to check not only prices but the companies guarantees and experience level. ​The first impression of your business that clients developed is viewed from the parking lot. The landscape of an ill tended parking lot full of weeds and craters tends to attract public littering which in itself will encourage rodents and numerous insects. Many possible clients will drive by such a parking lot, perhaps even drive a little further, to a competitor who’s parking lot proclaims good guardianship of client safety is practiced here. 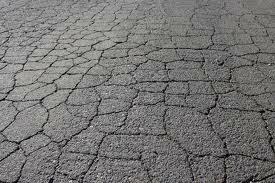 ​Alligator cracking (several oblong shapes connected by cracks- looks like alligator skin) indicates the subgrade has fail due to water infiltration, too heavy of a load for the pavement design, or asphalt is old and brittle. 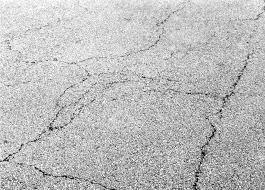 The repair for alligator cracking is a full removal of broken pavement, repair of subbase, and patching with asphalt. ​Block cracking (box like shapes connected by cracks) indicates the asphalt mix may have been too dry at placement or aggregate was mixed improperly- low amount of binder. The suggested repair is surface treatment (asphalt emulsion slurry) or thin overlay. ​Depressions (birdbaths) a small depression that will hold water when it rains indicates a settlement of the lower pavement layers or improper compaction construction techniques. The suggested repair is an overlay and thin surface patch. ​The above pavement failings are examples of types of pavement distress that we can repair quickly without blocking off the entire parking lot. We can work on a section at a time, and work on weekends (rainy weather in Seattle forces us to be very flexible). ​Parking Lot Resurfacing (overlay) is repairing an existing parking lot by paving overtop of it. Just enough of the surface is removed to make all even, and any areas in very poor condition should be removed and patched. If distressed pavement is not corrected before the overlay, the problems will reflect back up through the overlay. Resurfacing a parking lot is less expensive than a full reconstruction, and generally takes less time, both of which makes it an attractive option for repairing and renewing large parking lots. Lifespan of an overlay is 8 to 10 years under proper maintence. ​From the moment asphalt pavement is laid down and exposed to the outside environment, it begins to decay or oxidize (molecules move to create tighter bonds with the stone in the asphalt mixture). Eventually, the pavement losses flexibility, becomes stiffer and the once black color of pavement turns grey as the binder (black glue) wears away. However, sealcoating the parking lot can reduce the rate of oxidization down to a crawl. An asphalt parking lot will normally function, depending on proper installation, 10 to 15 years. But if maintained by periodic sealcoating and repairing any cracks, its lifespan can more than double. Note! once asphalt pavement has lost its flexibility (becomes brittle) it can’t be totally restored by sealcoating. With such a rainy climate, Seattle, WA Paving encourages the practice of periodic sealcoating as a means to extend the lifespan of your asphalt parking lot. ​Some elements of a parking lot are just better made out of concrete, such as curbing, sidewalks and drainage. Concrete elements require less maintenance, are stronger, longer lifespan and gives an important color distinction for the edge of pavement- this helps drivers understand quickly where the pavement ends. Keep in mind, working with a single contractor for both concrete and asphalt elements in a parking lot will provide you with a better price point and eliminates scheduling headaches associated with managing multiple contractors. ​When you contact Seattle WA Paving, all you’ll hear from us is “WE CAN HANDLE THAT”. 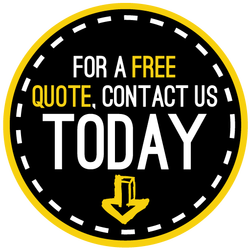 Give us a call, text or fill out the quote form, at the top right hand corner of the page for a complimentary inspection, and we will shortly provide you with a written detailed project quote. Keep in mind that we are license, insured and bonded in the State of WA. We do not hire day laborers, all our employees are full time.